Sufficient cutting force can be obtained even at low RPM. Autogenous bone can be harvested within 10 seconds. Amount of bone harvested can be equivalent to the size of each AutoMax. 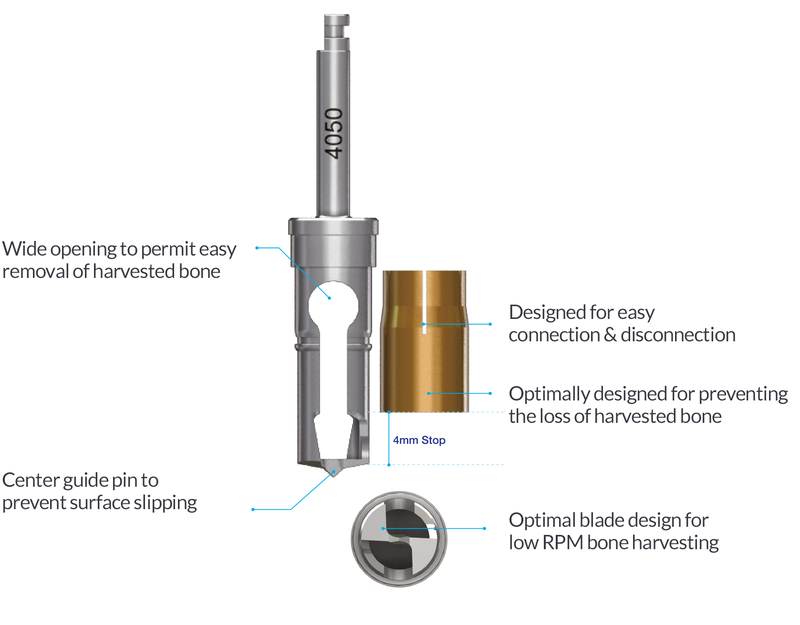 Enables quick, easy bone harvesting in a single procedure. It can be cleaned thoroughly as the Stopper is easily disconnectable. V shaped opening completely prevents bone chips from splattering during drilling. May be used in any type of bone with excellent durability. 1. Connect an Auto-Max to the handpiece and position the stopper on the Auto-Max. 2. The Auto-Max should meet the bone surface perpendicularly. Press the handpiece to fix the sharp point of the drill on the bone, and start drilling at about 500 RPM with copious irrigation. 3. Do not irrigate during harvest. Irrigating may scatter the harvested bone. 4. 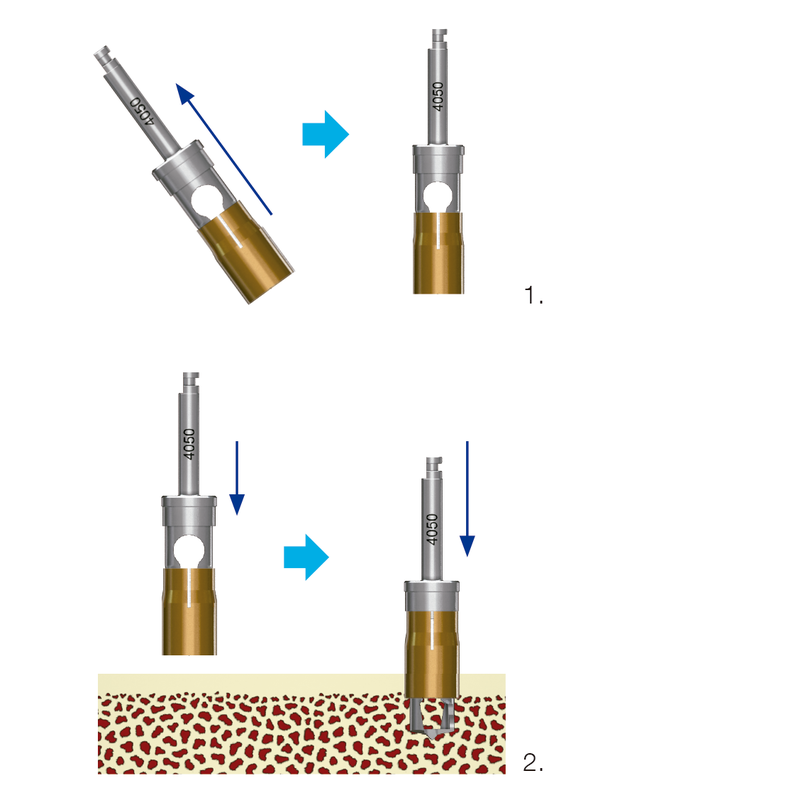 The Auto-Max will automatically stop advancing into the bone at a depth of 4mm. 5. Disconnect the stopper from Auto-Max and collect the particles of autogenous bone in a sterile tray. 6. Bone should be harvested from a new site each time, avoiding any overlap with other harvest sites. © Megagen Implants UK. Designed by grila.